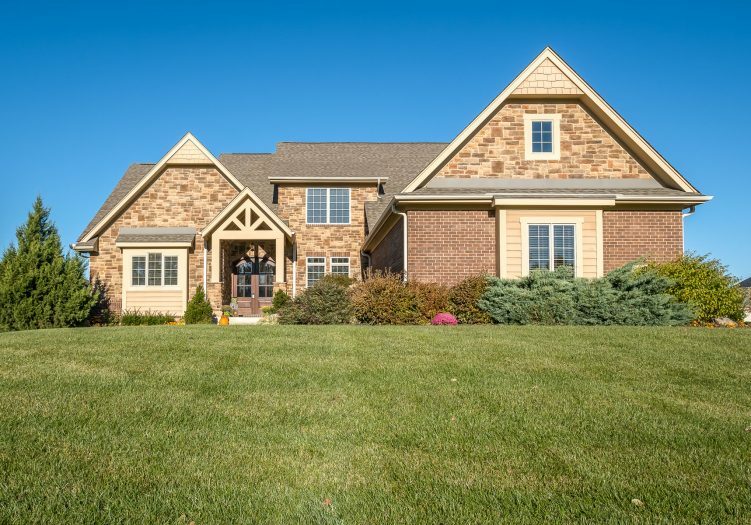 Home » Listings » Stunning Simms Home! Stunning, SIMMS home in Windemere, a custom community near COUNTRY CLUB OF THE NORTH! Boasting over 3000 sq ft plus a FINISHED BASEMENT, there’s an abundance of space. ARCH-TOP, wood doors lead into a gracious foyer with distressed HARDWOOD FLOORS. To the right, a formal dining room features a TRAY CEILING and CONTEMPORARY LIGHTING! The heart of the home is the great room with COFFERED CEILING and a GAS FIREPLACE flanked by BUILT-INS! Perfect for entertaining, it opens to the kitchen with GRANITE, tile backsplash, island, STAINLESS appliances, GAS COOKTOP, planning desk, and a large breakfast area. The FIRST-FLOOR MASTER offers two closets, a TRAY CEILING, and a bath with dual vanities, TILE SHOWER, and soaking tub! Upstairs, you’ll find a LOFT, two JACK-N-JILL BEDROOMS plus another bedroom and bath. The KNOCK-YOUR-SOCKS-OFF BASEMENT was finished to match upstairs and offers a REC ROOM with WET BAR, full bath, and FIFTH BEDROOM/WORKOUT ROOM! Outside, enjoy the DECK and 3-car garage!